Have you noticed the huge trend in having long, standout lashes and perfectly shaped eyebrows? Not that it wasn't popular before. But, goodness - it's the thing now! I've shared my false eyelash tutorials with you before on Instagram stories. I absolutely love the look of long eyelashes but lately, I've had to stop wearing them as the glue seems to be irritating my eyelids. During my last visit to Juvly Aesthetic Medspa, I decided to try something new to make my natural lashes grow longer and thicker! Be sure to read through below as I have a discount code for your service. I decided to try Latisse to help my natural lashes grow longer, fuller, and darker. I've been using it for just about a month and have started to see growth. I'm so excited!! Latisse is a topical serum that you apply to your upper eyelashes every night. I can't wait to share more photos in a few weeks! If you are one of those lucky people to be blessed with long lashes but are just looking for them to standout more, a lash lift & tint could be just what you need. I'm not there yet, as I need my lashes to grow longer first. So the other big trend, is perfectly shaped, bold eyebrows. If you are around my age, then you probably remember a time when heavily plucked, thin eyebrows were the thing to have. All that plucking and now the trend is a more bold look. What to do? Did you know that Juvly offers Microblading? It's on my list to do in the next couple months. Microblading is a semi-permanent eyebrow tattoo to create a full, natural and realistic looking eyebrow. A hand tool with ultra fine needles are used to create a hair-like stroke. Numbing cream is applied and there is very little discomfort. The whole process lasts about 90-120 minutes and your microblading shape and color is all personalized to your face, skin tone, and how bold you want them to be. A 4-8 week perfecting session is required for any final tweaking/fixing. My biggest piece of advice is to make sure a highly trained specialist is performing this service. That's where Juvly comes in! You can be guaranteed to get the highest quality service. I've seen the results and it's amazing!! It's crazy how a simple procedure can change the way your face looks. Heading to Juvly? 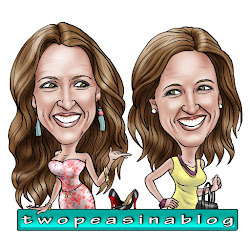 Be sure to use code TWOPEAS25 for $25 off..
Want to see details on the specials going on right now? Find them all here!